Inspire yourself to great living in your newly renovated apartment home at Latitude Apartments. 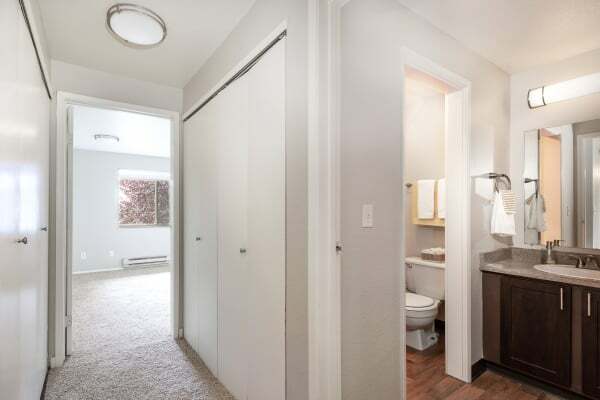 Our one and two bedroom apartments for rent in Everett, WA, offer the most desirable package of location and quality features. Your new home is uniquely appointed with rich dark wood cabinetry, plush high-end carpeting, bright lighting, satin-nickel hardware, and warm paint colors to relax and calm your mood. 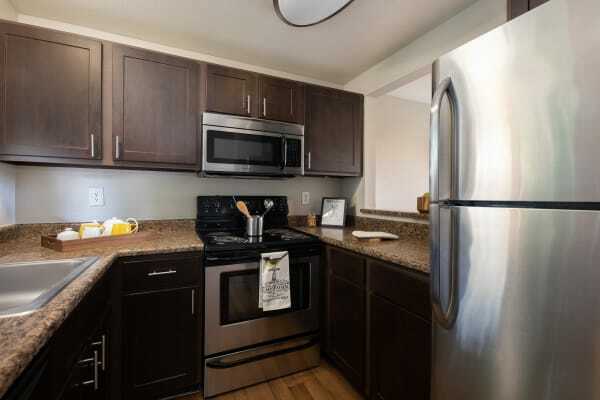 Your home is stocked with a full line of contemporary stainless-steel appliances, including self-cleaning oven, frost-free refrigerator with ice-maker, and dishwasher. Ample storage, a cozy wood-burning fireplace, full-sized washer and dryer, and a private patio or balcony add additional space and comfort. We are convenient to downtown Everett, Seattle, and Tacoma metropolitan areas via I-5 to Seattle, and public transit. Enjoy the serenity of our charming, pet-friendly community and easy access to both work and play. Latitude meets all your needs and more. Our private, pet-friendly community offers a 24-hour fitness center, outdoor ping pong table, clubhouse, BBQ grill deck, business center, and bark park. Enjoy local eateries, bakeries, delicatessens, farmers markets, and wholesale grocers within walking distance. The City of Everett Bicycle Routes and nearby Interurban Trail, an 18-mile walking and biking path are perfect for those who love to be outdoors. To take a private tour of our amazing community in Everett, Washington, contact our leasing office today. Come experience the joy of opportunities at Latitude for yourself and start living today!